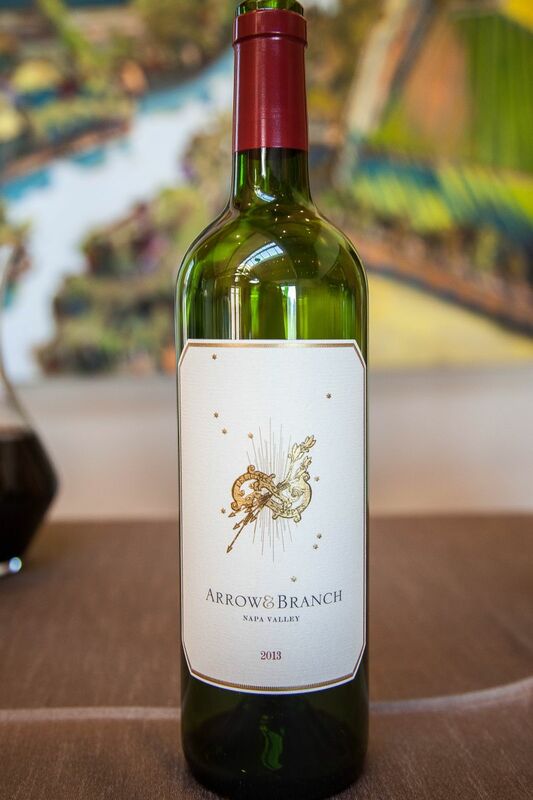 This week we had the opportunity to taste wines from a relative newcomer to Napa Valley, Arrow&Branch Wines. 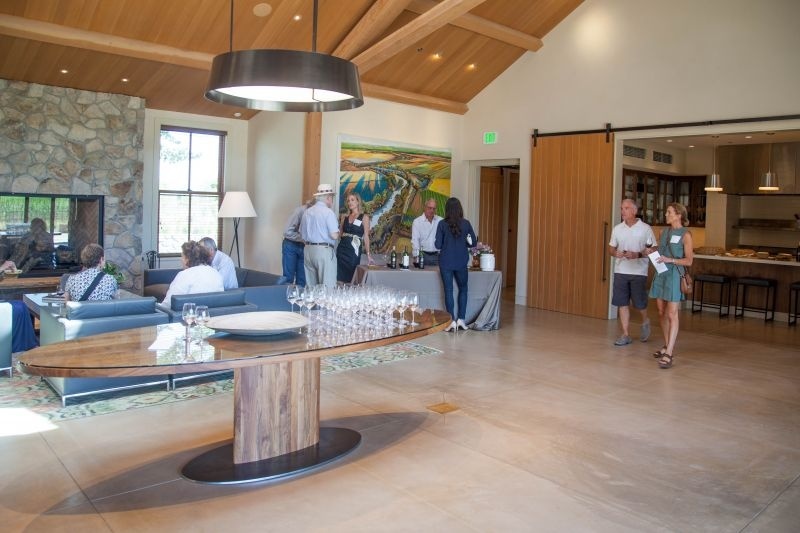 They have just opened a by appointment only tasting room in Saint Helena. I didn’t type it wrong when I wrote Arrow&Branch. That is the name, spaced that exact way. The owners, Steve and Seanne Contursi, chose the name purposefully as a subtle nod to numismatics (coin collectors) which is Steve’s passion and the basis for one of his other businesses. The arrow and branch on the label is a nod to our US currency and its symbolism. I thought that was very cool and interesting. I am sure The Brit is sorry he missed out on the tasting as he would have loved the geek factor to their story. The Brit comments: Of course I am sad that I missed out on a wine tasting opportunity, especially as the wine seems excellent and the geek factor would have been an added bonus. 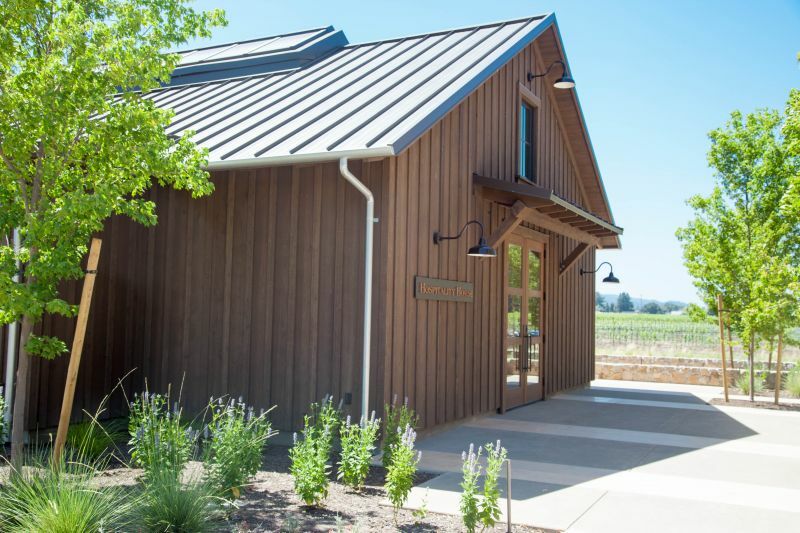 During my visit, I had an opportunity to sip the wines, talk with the owners and the winemaker, Jennifer Williams. 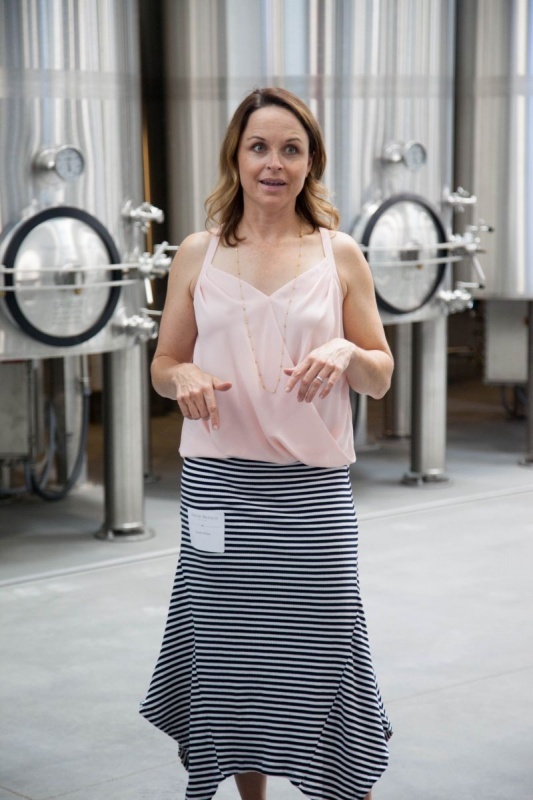 I was interested to hear about Jennifer’s winemaking philosophy and especially her take on the Sauvignon Blanc that they make. We toured through the barrel and fermentation tank rooms to see an extremely modern and high-tech set up for making wine. It was all very impressive. Tasting the 2016 Sauvignon Blanc ($35) I absolutely loved its creaminess and the stone fruit; flavors of peaches and white plums with a hint of orange. The wine was lush and I could have sat on the back patio outside the tasting room and enjoyed that beauty for the rest of the afternoon. It was made with an interesting mix of steel and oak fermentation. It also features the Musque clone of Sauvignon Blanc as its base with small portions of clone 1 and 6 thrown in to round out the flavors. 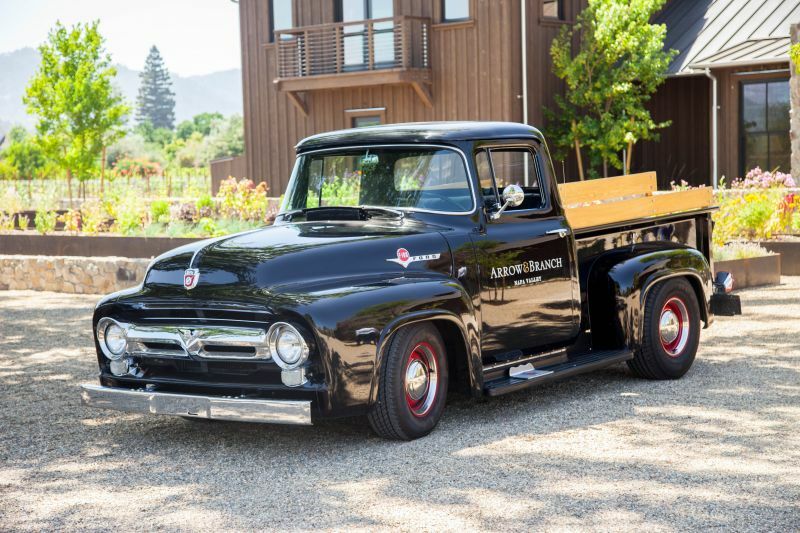 I thought the winemaker hit the ball out of the ballpark on this one. Buy this wine! It has it all, value, quality, and flavor. I then tasted side by side the 2013 Beckstoffer Dr. Crane Cabernet Sauvignon ($175) and the 2013 Black Label Cabernet Sauvignon ($100). Whilst they were both great, I really preferred the Beckstoffer Cab for its spicy rich notes, hints of chocolate, a little leather, and its earthy scent. I think it will age beautifully and just get better as the years go by. The black label Cab was no slouch either with its wood, earthy, and smokey flavors. It had a very long finish and I enjoyed my glass. Finally, I tasted their 2015 red blend ($125). It has a base of 59% Cabernet Franc with 39% Merlot and 2% Petite Verdot. I liked this wine and could imagine pairing it with lamb chops and roasted vegetables. I thought that its flavors were rich, spicy, and a little floral. It would really make the lamb sing in the mouth. 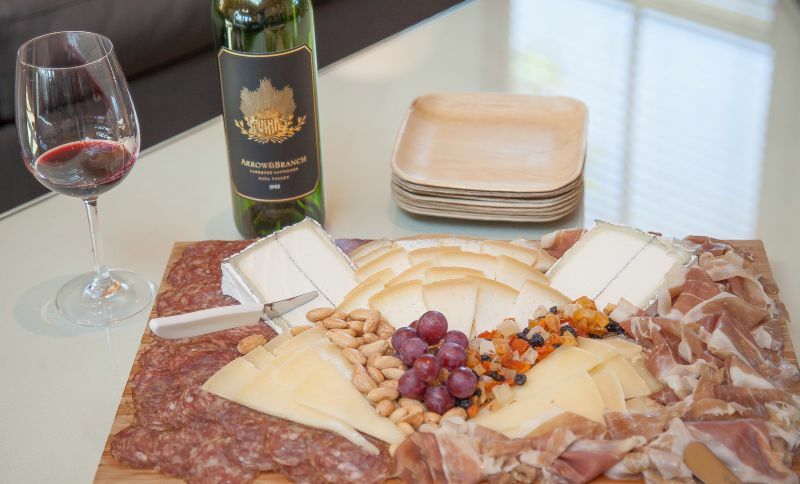 Their wines are what I would describe as foodie wines – meaning that they pair well with food. They are on the higher end as far as price, so they would tend to be more of a special occasion wine. This isn’t a wine one drinks on a Tuesday night in your pajamas, eating popcorn, and watching Netflix. No, this wine is all class and sophistication which matches the style of its owners. 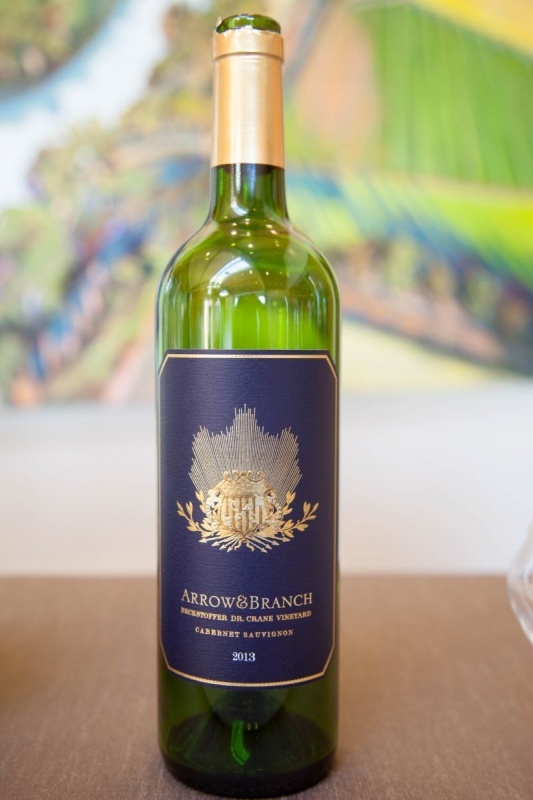 If you are looking for a taste of luxury in your glass, from a small relatively unknown producer, Arrow&Branch wines may be for you. If you want information on how to arrange a tasting or to buy their wines, check out their website here. What lovely wines. My favorite was the Cab Franc blend, but all were delicious. See you in Santa Rosa, if not before. Cheers!